On Saturday February 25, 2017 Fregenet Kidan Lehitsanat School was visited by volunteer medical Doctors to check up on the health condition of selected students as in previous years. This year, four medical doctors, namely Dr. Kalkidan Alachew, Dr. Helen G/Medhin, Dr. Behaylu Yibe and Dr. Bamlak Andargachew participated in the process of checking up on the students’ health. The selection process was made by through day to day observation by teachers on the frequency of student illness. 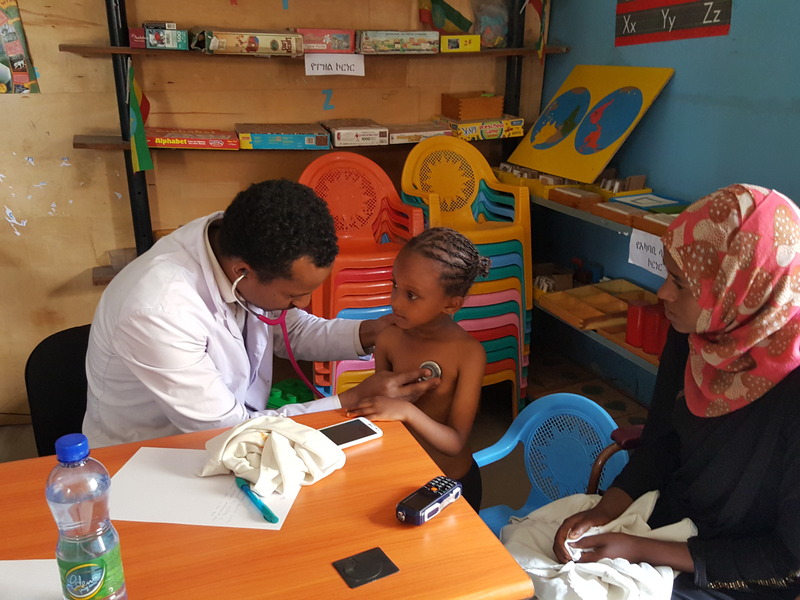 However, all 22 KG1 students, our youngest learners, were given a checkup because as newcomers a baseline of their health status is a top priority. 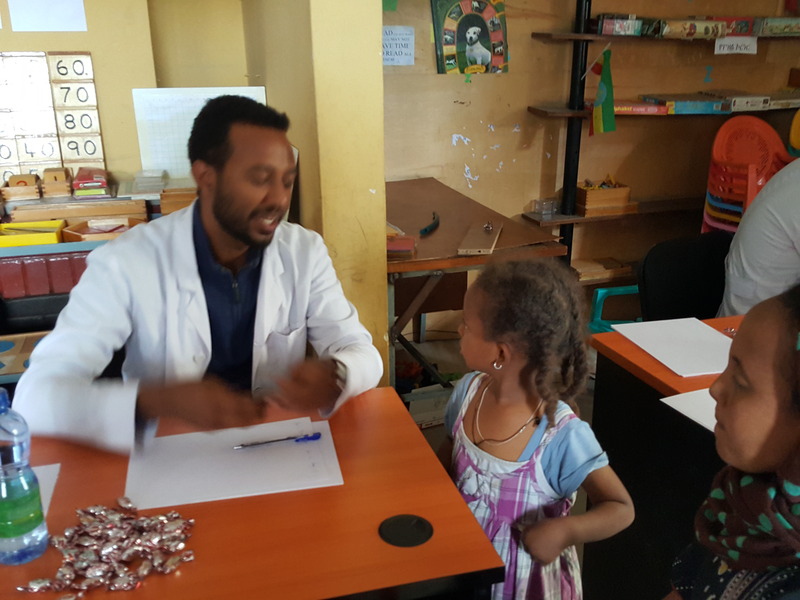 Twelve students from KG2 and 8 students from grades 1-4 each were selected for medical examination. Of the selected 64 students, 52 were present at school. Twenty-three of them were checked and found to have minor health problems. 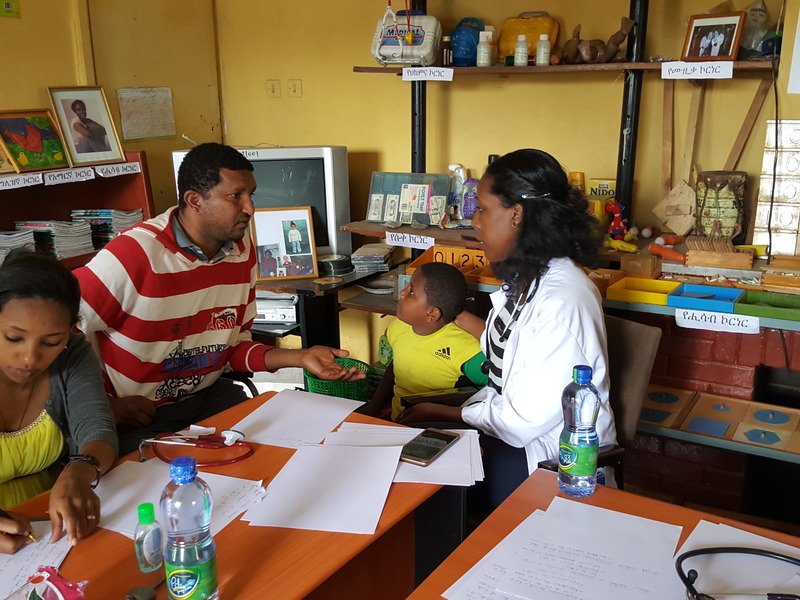 They received prescriptions for medicine. Twenty-five students were sent to a laboratory for further check-ups and the final four of them were cleared as no illness or symptoms were found. 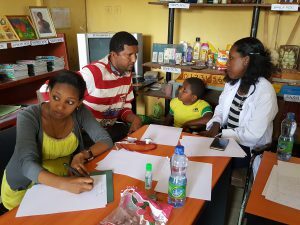 When the results of the laboratory examination for the twenty-five students and the other twenty-three students are finalized, their full medical expenses will be covered by The Fregenet Foundation and a follow up will be conducted until the full recovery of the students’ health is attained. 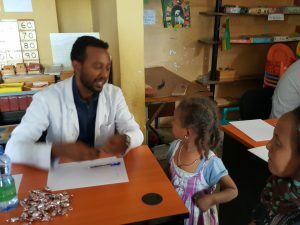 On behalf of The Fregenet Kidan Lehitsanat School and the students, we would like to express our deep gratitude for the volunteer doctors who dedicated their precious time to help our students.